Sharesprings are from Jakarta in Indonesia and are backed by Indonesian label Dismantled. Immediately the condescending first world Brit in me wants to like them just because they are from somewhere that is so far from the usual tired and furrowed western musical paths. I want to consider them the plucky underdog who have overcome not being at the main centres of the musical universe to produce a 'worthy' album. I sicken myself. However the musical universe is gradually shifting. 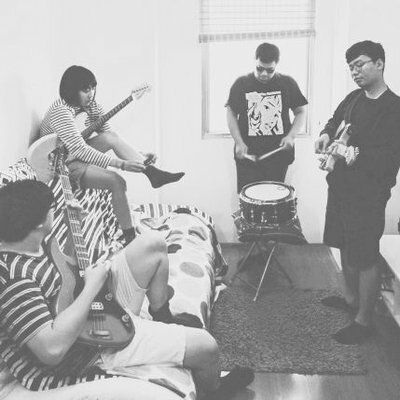 Brilliant 2018 releases from bands such as Sobs (Singapore) and Say Sue Me (South Korea) means that releases from such oriental regions are now scrutinized with a less patronizing eye. 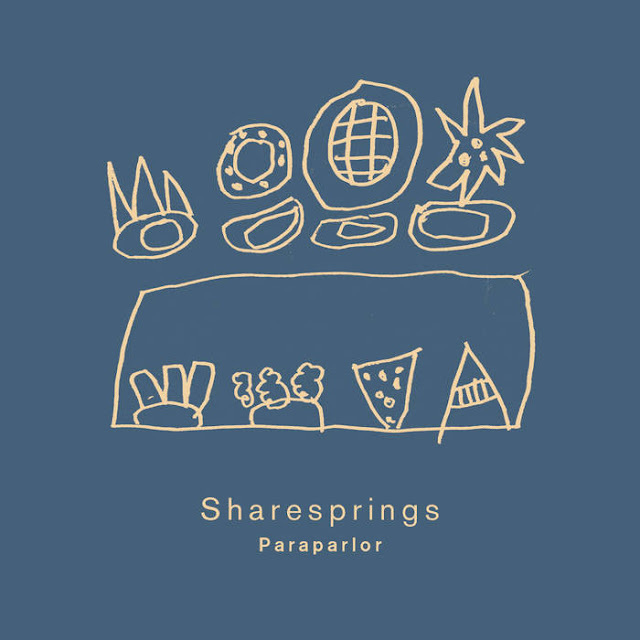 In such company Sharesprings have much to live up to...and they do so with immense aplomb. Prostitute, the opening track, not only introduces the album with style but ultimately can be seen as something of a musical map as to where the primary aesthetics of much of the album resides. In this one track we see a beautifully melodic guitar-pop introduction, before the gradual increasing prominence of jangle morphs into a dominant chiming riff e that flirts with shoegaze but never allows itself to become totally seduced by it. It is an achievement that the musical journey of such a track is not consumed by the overall feeling that 'too much crap thrown at a wall will eventually stick'. However the subtle production and ultimate melodic intent means it remains 'crap free' and acts as a foundation template for similar tracks such as So Comely and Paraparlor. However the album shows the band as having far more than just the ability to weld different types of beauty together. Initially We Don't Have to Talk But Please Hold My Hand is beautiful early 90's indie-pop with earnest suggestions of twee and is as beguiling as it is unusual within the context of the album. However it is when the band divest the need for overt beauty to a large extent and move through the gears of musical aggression that some of their best work is seen. The lead single Elza, I'd Write You A Song was an unusual choice for the albums flyer, with its Dinosaur Jr style reverb and distortion played at a frantic pace over My Bloody Valentine style echoed vocals. Its a shock to the system after listening to the preceding sweetness, but a welcome one to prevent musical diabetes. Other more aggressive tracks such as The Perfect Thing and to a certain extent the insistent drive of the album's genuine stand out track in Paraparlor (see below) show that the band are as comfortable in the grumpy strummed company of The Mighty Lemon Drops as they are with the fluffiness and clarity of The Happydeadmen. I have read somewhere that the bassist has now left the band...I just hope they continue as there is plainly so much potential here.